The El Rastro and Nibbles – Red Wine Gift Hamper contains a delightful Award Winning wine to compliment the delicious hand picked nibbles of your choice. The El Rastro and Nibbles – Red Wine Gift Hamper contains a Bronze Award Winner from the International Wine Challenge. The Spanish red is a delightfully soft red wine that is packed full of ripe blackberry and plum flavours. Its subtle sweet spice and concentrated bramble fruit core give this wine great balance and a delicious long finish. 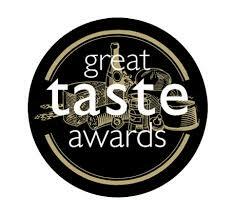 Complimented with your choice of our Award Winning hand picked selection of nibbles. All presented in a black lidded black box finished with a hand tied ribbon. Presented in an antique styled wooden box, the Lindeman’s Wine & Chocolate Gift Box allows you to choose three bottles of superb Lindeman’s wine to accompany a box of Lindt chocolate truffles. 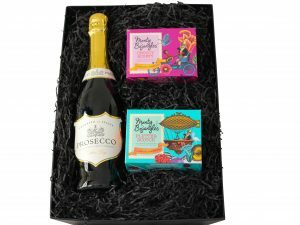 The luxury chocolate truffles within The Prosecco & Bojangles Chocolate Gift Hamper is a hugely popular choice of gift. Award Winning chocolates and a crisp fresh bottle of prosecco, make this a special gift for any occasion. 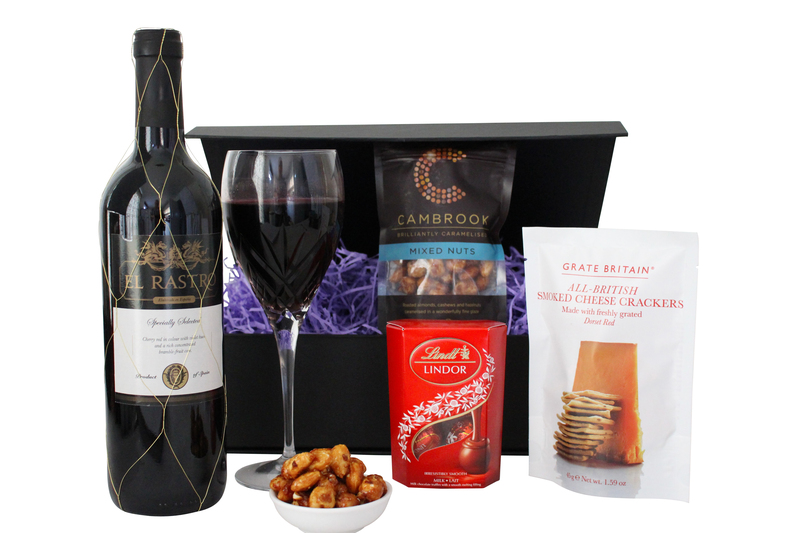 Sit back and savour a glass of wine with the Red Wine Gift Hamper. Choose a bottle from around the world with our splendid red wine collection. Simply select 3 wines from our Award Winning collection then let your imagination do the rest!